Where do you decide to travel? I can’t sponsor you, but I would still like to help. How can I? Where is my favorite place? What is your biggest memory from your travels? 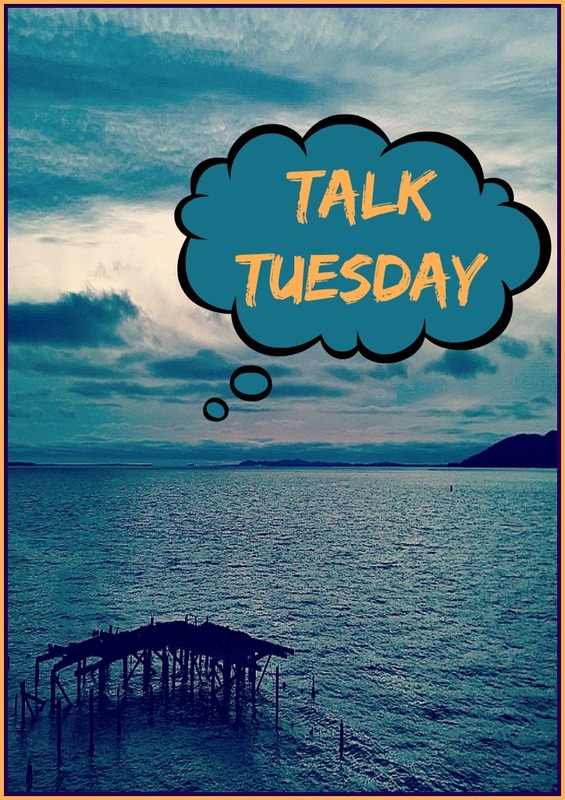 I’m starting a new weekly post on the ‘ol blog called Talk Tuesday. I will collect the questions people ask me and answer them weekly. Have a question for me about anything? Ask away in the comments below. This has many different answers. First if it is a race sponsor, I ask current clients if they would like to sponsor the cost of the bib and 2-night hotel stay. I might even ask my friends on Facebook if they would be interested. Races range from $45-150 per race not including transportation and hotel, and that adds up. As a travel blogger I reach out to the Chamber of Commerce’s in the city I am visiting. I pitch to see if they can connect me with brands that work with travel bloggers. When I am doing this it is to typically highlight the entire city. I also do reviews of specific accommodations and excursions as well. I also do product reviews. I will ask a company for product to review. If the product is lower than my per post blog rate I ask for compensation to offset that. I am currently looking for a gas sponsor… so if you are a gas company or even a small business that wants a shoutout every time I fill up, let me know. I have to fill up 7 times to make it up to Alaska!! << That is a true statement btw. I *really* do need a gas sponsor!! This too is different based on my goals, but here is my basic breakdown. First I put all the conferences I want to attend on the calendar. Then I put all the races that are on my dream list down. Last year, this let me figure out to go clockwise around the US where I ran in 10 half marathons over 202 days across 38 states. This year is different. I knew by the end of January that I wanted to go to Alaska. I was asked to come in June as it isn’t as busy as July and August to cover things in my blog so that the places can get coverage before the season is over. Now I have a basic route, and look at what wineries and breweries are on the way. I contact them to see if they would like me to come in and interview them. If they have a place for me to stay, even better. Once I am in a city, I will search out what it is known for and ask the locals what I shouldn’t miss. Emotional support is always needed. A text or call and commenting on Facebook helps me feel connected to people. It can get a tad bit lonely at times. Share my posts and story with your friends and family. If you have a contact for a place to stay or something to do in an area, let me know. Lodging is my number one expense. If you buy *anything* online, please buy from one of my links. I am an affiliate of many different merchants and can usually find a discount code for you. It doesn’t cost you anything and I make 1-15% per transaction. Going on a trip? Please let me know as I have links for airfare, hotel, well, just about everything. For instance. If you were to click on anything I post and buy from that retailer (doesn’t have to be what I posted), I make a commission which is paid to me monthly. It all adds up and helps me out a great deal. Biggest accomplishment memory: Writing down all of my fears before I took off then ticking off each one as I conquered it. Biggest nightmare: The moment I went down in the Portland RnR Half Marathon. That one still wakes me up at night. Biggest I made a mistake and shouldn’t have done this memory: When I was told I might never walk again. Moment when I felt I finally felt closer to the Earth than I ever thought possible: When I turned a corner in Glacier National Park and started weeping from the beauty. Best Overall Memory: The conversations I have had with hundreds of people all across the US. Every time I tell them what I am doing, their jaws drop open and their eyes get huge. Then they let down their guard and we have conversations like we’ve known each other for years. Have questions for next week or what to comment on any of these? Let me know in the comments below. I get asked a lot about donating to my travels. Here is my PayPal Donate button until I get the Donations page up and running on this new site. Thank you for supporting me. Without the love and support of my community, and especially my friends and family, none of this would be possible. I really enjoyed reading! I’m with you in spirit. Always in awe ofyou!